HRANA News Agency – The legal case of Zeinab Jalalian, political prisoner in the prison of Khoy, remains uncertain and also, the repeated requests to send her to the hospital or furlough have been rejected so far. It is noteworthy that Zeinab Jalalian, born in 1982 from Maku, had been first sentenced to death, but according to the media, she was sentenced to life time imprisonment, but by the time of this report, no verdict has been communicated to her, yet. More than eight years of her imprisonment has passed and during this period she was deprived of furlugh. 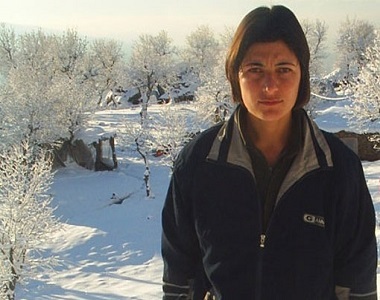 Zeinab Jalalian was arrested by the Intelligence service agents in 2007, in Kermanshah, and was charged with enmity with God and connection with Kurdish opposition parties and by the Revolutionary Court, was sentenced first to death and then to life imprisonment. This political prisoner has been under severe pressures during the last years and several times has been on hunger strike to protest against her condition.